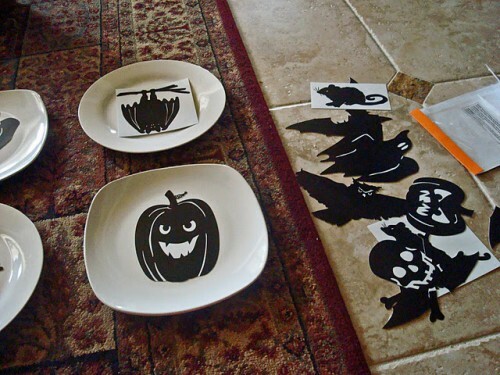 If you like to decorate your house with plates then you should make some plates to decorate for Halloween. 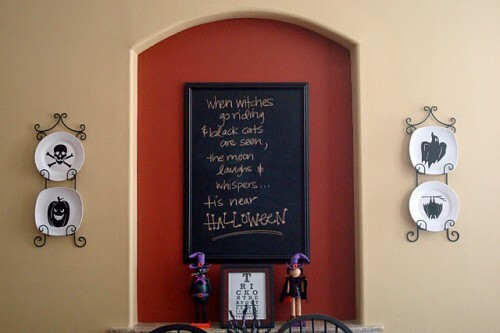 Simply buy a bunch of white plates from The Dollar Store and Martha Steart reusable Halloween Window and Mirror Clings. There are really many different designs to choose from. 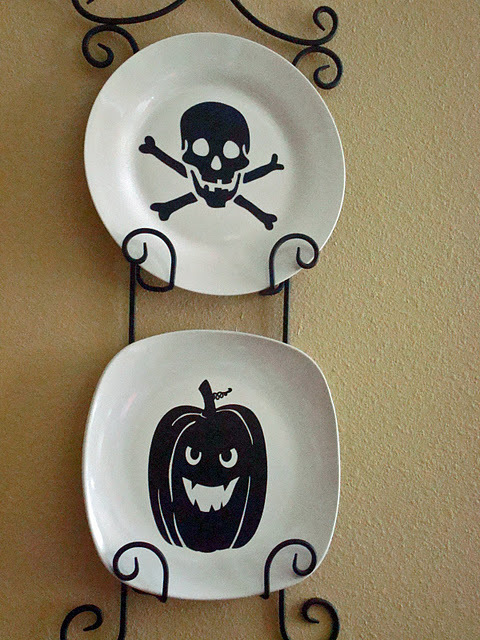 The cool thing is that you don’t need to permanently attach them to the plate so it won’t be hard to change plates for different holidays. The cost of such project will be something around $10 so don’t hesitate to try it out.